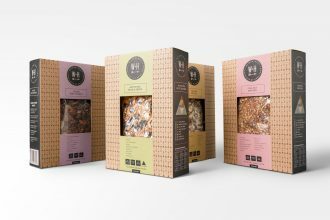 The magic trio of free-range chicken, Meadow Portabello mushrooms and free farmed Manuka smoked bacon is being celebrated in the newest offering from gourmet pie makers I Love Food Co. “This is a classic and delicious pie filling that we are so excited to add to our range of gourmet pies,” said co-founder Maree Glading. “We love to work with like-minded innovative New Zealand food companies, so we turned to Canterbury-based Meadow Mushrooms to supply the mushrooms for our latest pie offering.” I Love Pies products do not contain any MSG, palm oil, preservatives or artificial flavour and colours. 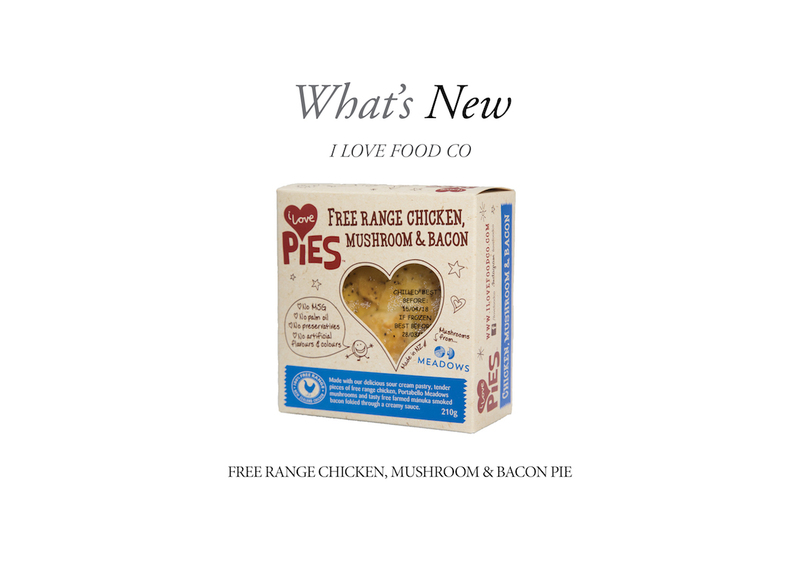 The Free-Range Chicken, Mushroom and Bacon pie is made with the I Love Pies sour cream pastry, and is available in an individual 210g serving.